Noreen Christopher’s abstract paintings are a visual means of expressing her personality. The freedom to face a blank canvas, to contemplate, and use her imagination allows her to pursue her creative journey. The paintings are characterized by an “inside-out” style, with creativity coming from within, rather than an “outside-in” realistic style. Her passion in painting is the use of color and design. As a focus, this provides her with the opportunity to present unusual viewpoints and ambiguities. 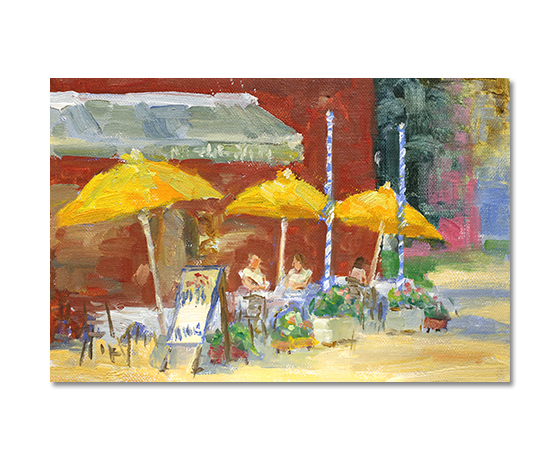 To view more of her work, please visit our store in Los Gatos. Jeanette Turkus’s painting captures the mystery of the human figure and the personality behind its gesture, is a never ending challenge and inspiration for her. 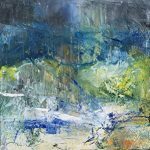 Painting with thick impasto paint, Jeanette enjoys exploring themes of nostalgia, magic, dreams, or just a moment in time. 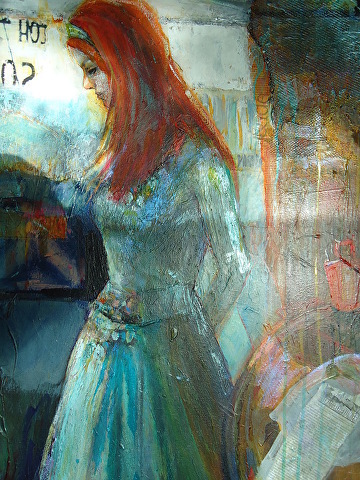 Sometimes, She likes to collage her sketches of the model into the painting, along with collected momentos and ephemera. 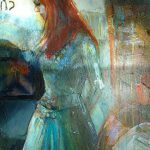 To view more of her work, please visit our store in Los Gatos. Abby Zhang. Art has been Abby’s passion from a very early age. As a child growing up, she drew images of the world around her, often exasperating her teachers by filling text book margins with pictures she drew while day dreaming in class. She had study under Jove Wang for 5 years, whose own artistic lineage traces back to the Russian Impressionists from the art training system brought into China through the exchanges between the art academies in China and Russia. Abby subsequently studied for six years with Boris Kokhno, a professor from the renowned Russian Academy of Art in St. Petersburg. The combination of Abby’s passion and the solid fundamentals results in paintings that combine a lyrical contemporary style with the richness and depth found with traditional techniques. 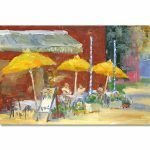 To view more of her work, please visit our store in Los Gatos.